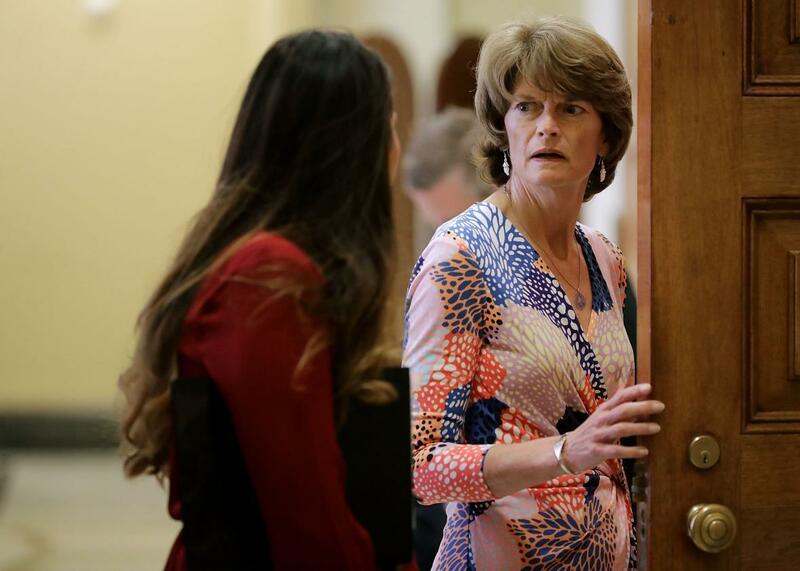 Murkowski buy-off watch: Senate GOP may just let Alaska keep Obamacare. On Tuesday I wrote that the chances for Senate Republicans’ last stab at Obamacare repeal, Graham-Cassdidy, “may well hang on what offer Republican leaders are willing to make on Alaska’s behalf in the next week” in order to secure Sen. Lisa Murkowski’s pivotal vote. A couple of reports Thursday afternoon show us how that offer may be shaping up. To put it as generously as possible, it’s not subtle. The first report, from Politico, says that Alaska, along with some other large, sparsely populated Western states, would be exempt from the per-capita caps that Graham-Cassidy would place on traditional Medicaid spending through 2026. In other words, Alaska—at least in the near term—would not be subject to the enormous entitlement reform that just about every Republican health care bill this year has tossed in its repeal-and-replace package. A good start. What else you got, Graham and Cassidy? Independent Journal Review, citing a “Republican Senate aide,” reports what would be the most incredible package of carve-outs known to mankind. It would allow Alaska—and Hawaii, tossed in as a poor effort for political and legal cover—to keep Obamacare in the Obamacare repeal bill. And then some. In addition to the per-capita cap exemption that Politico reports, a new draft would allow Alaska and Hawaii to “continue to receive Obamacare’s premium tax credits while they are repealed for all other states.” Not only would they get to keep the Obamacare tax credits flowing, but they would also, according to the aide, still be able to receive the block grant money that Graham-Cassidy replaces those subsidies with. The last provision would increase Alaska and Hawaii’s federal Medicaid match rate. As IJR writes, the changes aren’t final. (Maybe they’ll toss in a gift certificate to the Sizzler for Murkowski, too.) I’ve reached out to the offices of Sens. Murkowski, Graham, and Cassidy for comment on this overflowing chest of legislative treasures, and will update with any new information if they get back. Few Republican health care reforms are great deals for Alaska. Republican health care reforms slash federal spending on health care, and Alaska’s health care costs are extraordinary. The only way to get Murkowski’s vote for the Republican health care reform, then, is to exempt Alaska from the Republican health care reform. This proposal would let Alaska keep its Obamacare money, reap the Graham-Cassidy money on top of that, boost its Medicaid match rate, and not have to abide by the trade-offs of either bill. Nice deal, if you can swing it. Is it possible to expand this language to include all 50 states and the District of Columbia? Might pick up some votes!